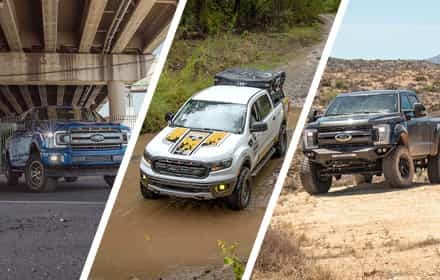 The Powerstroke V8 Diesels under the hoods of Ford F250 and F350 Super Duty trucks are always eager to make boatloads of more power and torque, which is why the Super Duty lineup has always made for some awesome and immensely powerful project vehicles. 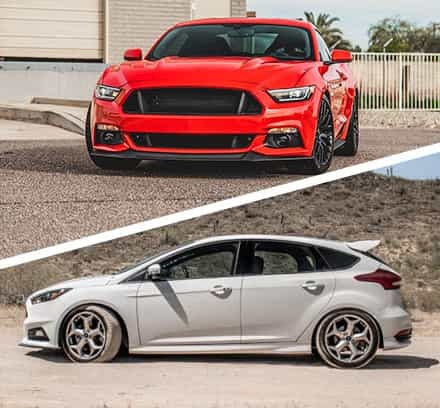 We here at Stage 3 have put together several over the years that featured some of the most powerful and heavy-duty Super Duty performance parts in our inventory. 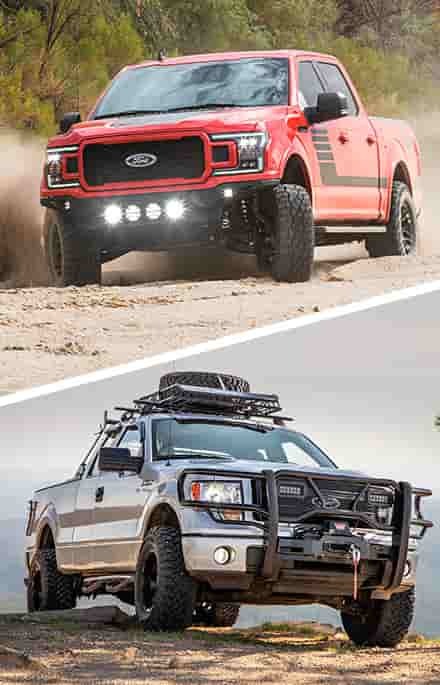 You can check out all of our F250 & F350 Super Duty performance parts here. 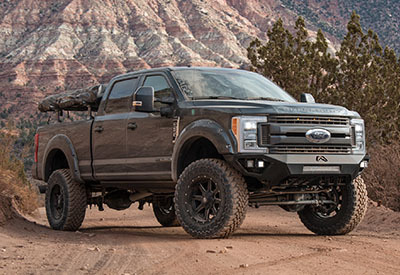 We just couldn't say no to the aggressively redesigned 2017 Super Dutys or their tweaked 6.7L "Scorpion" Powerstroke V8s that are now rated at over 900lb-ft of torque from the factory on a lighter platform. We're chomping at the bit to get this big truck higher in the air, looking even badder, and churning out a heck of a lot more power. Stay tuned to our dedicated build page for updates. 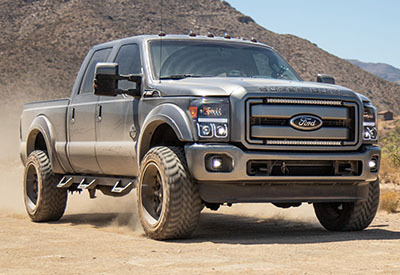 The 6.7L Powerstrokes are one heck of engine, and you can get a massive amount of extra power and torque out these big diesel V8s with even basic modifications. 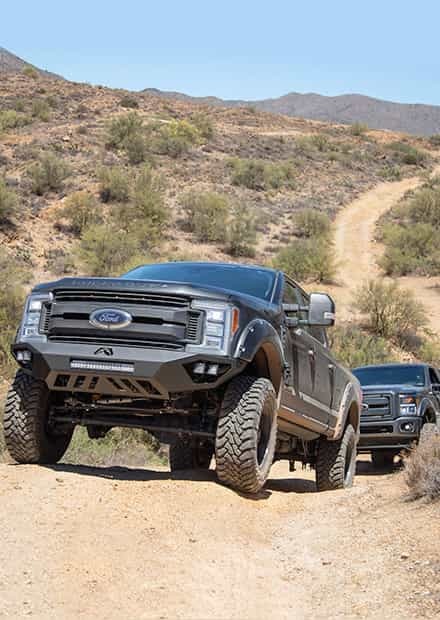 Top that off with a big and capable Super Duty truck that accepts all sorts of suspension hardware and lifts, as well as massive wheel and tire combinations, and you have the beginnings of something amazing. Our 2014 F250 6.7L Build went from being a big fridge on wheels to one of the most capable and impressive trucks that we've ever put together in practically no time at all. 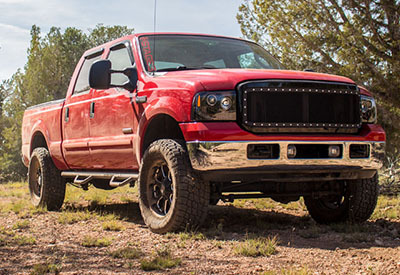 Read all of the details on our 2014 F250 6.7L Powerstroke Project Page. We love Super Duty's and we also love the 6.7L Powerstroke V8 so it didn't take long for us to decide that we needed to add another one to our fleet. What we picked up is a 2011 F350, 4-wheel drive, with a Crew Cab and 6.75 ft. bed all wrapped up in the Lariat trim package. 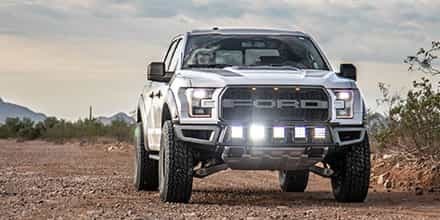 We've got big plans for this rig and there's already a host of lighting and accessories that we've piled on to get this truck looking the part! Read all of the details on our 2011 F350 6.7L Powerstroke Project Page. The 6.0L Powerstrokes are notorious for their litany of reliability problems that effected both bone-stock trucks, but mostly kept a lot of folks from tuning and modding the things. However, once properly bullet-proofed, the 6.0Ls could handle just about anything, and we wanted to prove it with our 2006 F250 6.0L Project Truck. 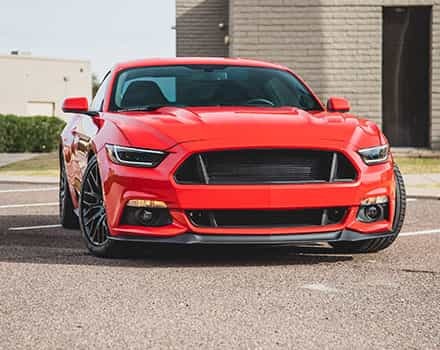 We went through the hassles of making sure the motor holds together while we stack on some serious modifications to get a ton of power from this pre-emissions diesel, all while keeping its exterior looking clean and mean. When we're through, our 6.0L Build will be able to do a bit of everything without breaking a sweat -- or breaking in general. Read all the details over on our 2006 F250 6.0L Project Truck Page.